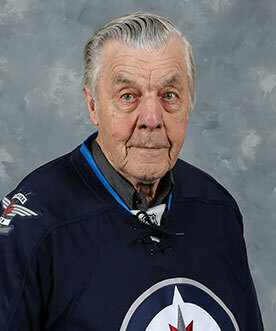 John was born and raised in rural Manitoba where he also completed his elementary and secondary education. He went on to complete his Bachelor and Master’s degrees in Manitoba but earned his PhD at Michigan State. John is an educator has worked an elementary and secondary school teacher as well as a university professor. This led him to the Department of Education where he was instrumental in the development and implementation of special programs in Manitoba schools for the intellectually challenged, the hearing and visually impaired as well as the learning disabled. In 1979 when a teenage suicide and riot resulted in a major crisis at the Manitoba Youth Center, John was loaned to Corrections for a three month period at the request of the Minister of Justice to restore order. This was the start of a nine year career in the Justice Department. His belief in the ability of people to change, led him to introduce community work, basic education, restitution and restorative justice programs in Corrections. Once order was restored he was moved from the Youth Center to Director of Juvenile Corrections and when Headingley jail had a major riot he was appointed as Director of Adult Corrections and a year later was asked to become Assistant Deputy Minister in charge of the Corrections Division from where he retired in 1989. In his off hours and weekends John spent time on community projects. He worked on the committees that brought Crime Stoppers and Habitat for Humanity to Winnipeg. He founded Teen Touch, a crisis line for youth and Project Prevention a community crime prevention initiative. After the fall of communism he spent time in Hungary, Latvia and Romania working with Governments to assist them in westernizing education. He worked on a United Nations Crime Prevention Committee in Milan Italy. He worked with the Nicaraguan Government on prison reform. He spent six summers training teachers in Trinidad. Closer to home he served on the Headingley Seniors Services Board, the Municipal Land Planning Committee and the Museum Board and served as chairman of the Donwood Foundation. He has also spent considerable time at Camp Manitou over the last twenty-five plus years.